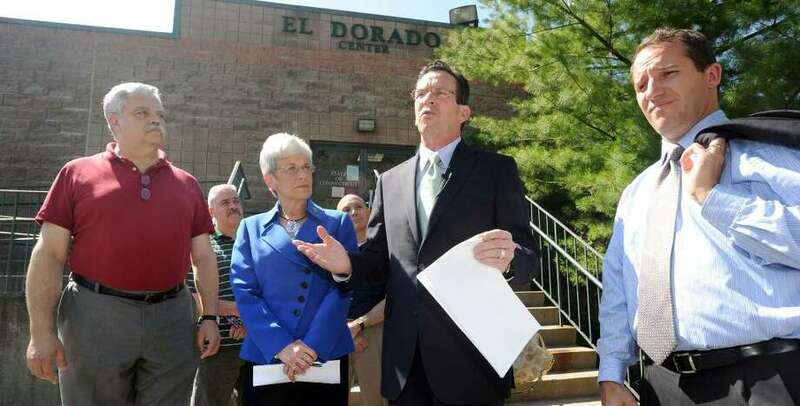 Gubernatorial candidate, democrat Dan Malloy of Stamford. Former Mayor of Stamford, Dan Malloy, right, on the floor of the 2010 Connecticut State Convention at the Connecticut Expo Center, Friday, May 21, 2010. Gubernatorial candidate Dan Malloy (D-Stamford). Stamford Mayor Dan Malloy meets with staff and city hall employees at the Government Center in Stamford, Conn. on Thursday, November 5, 2009.